LinkedIn når 47% av "Business Elite i Europe 2013"
En årlig undersökning visar vilka som använder LinkedIn. Man talar om business elite, en kategori av som är inflytelserika och har en betydande köpkraft. 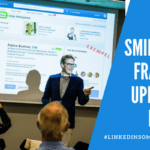 LinkedIn reaches more members of Europe’s business elite than any other website – and during the last 12 months those LinkedIn members decided on an average of around €10 million in business purchases each. The 2013 European Business Elite survey from IPSOS confirms that LinkedIn commands the greatest reach of all digital platforms amongst the region’s senior business decision makers – and it also confirms the immense value of this audience to both b2b and consumer advertisers. 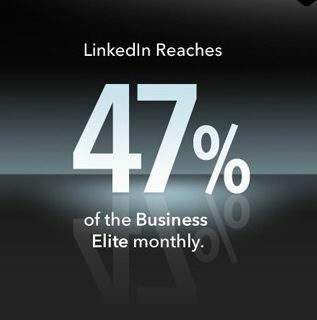 LinkedIn reaches 47% of Europe’s Business Elite monthly, and 44% of the most senior C-Suite decision makers. When compared to other news and business websites, our platform’s monthly reach amongst C-Suites is comfortably higher than the nearest two challengers (BBC.com and FT.com) combined, and it far exceeds that of websites for The Economist, Wall Street Journal, New York Times and CNN. Not only is LinkedIn dominant in terms of total reach, but the frequency with which Europe’s most influential business leaders access the platform demonstrates how central it has become to their decision-making. More than a third of LinkedIn’s C-Suite audience access the platform through mobile devices each month, with 30% doing so weekly and 17% doing so every day. Much of this access takes place on the move or outside office hours, when senior executives have more time available to digest important content and when they seek out their most trusted sources of insight. This should come as no surprise, since C-Suites also rank LinkedIn as the single most important website for their job. LinkedIn’s C-Suite audience is digitally savvy and content-hungry, accustomed to seeking out insights proactively on their chosen digital platforms: 69% access online content through their smartphone and 55% do so using a tablet. They enjoy engaging with international news and affairs (75% agree), enjoy finding out how technology works (69% agree) and actively seek out new challenges, with 93% agreeing that they pursue a life of challenge, novelty and change. This elite audience’s personal spending power mirrors the scale of the business budgets they command – and their influence over other consumers is particularly significant. LinkedIn’s business elite members represent one of the most affluent and free-spending audiences in Europe: three out of five have at least three personal investments, 26% own a second home and 40% own luxury clothing and accessories. Over a third (38%) have travelled first or business class in the past 12 months and 40% have spent over €3,000 per person on a holiday. The vast majority (85%) say that they actively influence the decisions and behaviour of others. 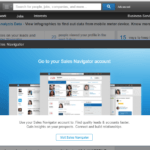 And it is inevitable, given their usage patterns, that a significant amount of that influence flows through LinkedIn. 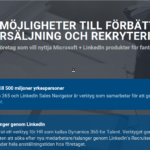 1 Response to "LinkedIn når 47% av “Business Elite i Europe 2013”"